LGBT+ people in Tanzania are amongst those who rely on Irish aid. Cutting aid is not the answer. Opinion 20 November, 2018 . Written by Fintan Warfield. Recent events in Tanzania have once again brought home the very insecure environment that our brothers and sisters are living in across the world. We must never rest on our laurels while our LGBT+ community faces persecution and violence. I am concerned that some people have begun to call for Ireland to review its aid to Tanzania. Tanzania ranks 151 out of 188 countries in the UN’s Human Development Index. If countries simply halted aid to Tanzania it will make daily life worse for all Tanzanians and reverse positive achievements that have been reached in recent years. Firstly it should be noted that overseas aid is not a tap that can be turned on and off. It includes funding for short-, medium-, and long-term projects and targets. Suddenly halting or stopping aid can have dire unintended consequences for complex and important projects helping vulnerable people tackle inequality and it can reverse positive achievement made in this regard. We see the US President and others use aid as a political tool that can be granted or removed in order to make weaker states dance to their tune. We need to be careful not to fall into this trap and act like neo-colonists, but also robustly stand up for LGBT+ and human rights. The anti-LGBT+ laws in Tanzania are abhorrent and we must robustly challenge the government on their human rights abuses and their attacks on the LGBT+ community, but we must not collectively punish the Tanzanian people by stopping aid for the disgraceful policies of their government. 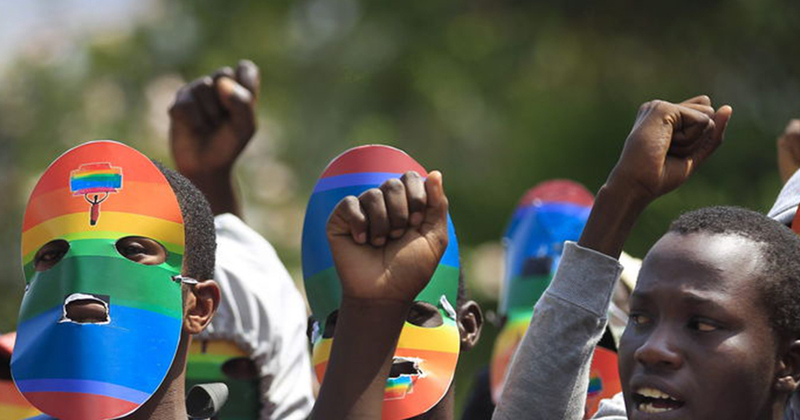 LGBT+ citizens face discrimination because of their sexual orientation, but they also suffer a myriad of socio-economic problems due to inequality and underdevelopment in Tanzania. We need to take a holistic approach that robustly challenges Tanzania’s anti-LGBT+ laws, but that also tackles the problems in health, education, agriculture, debt, corruption, and unfair international trade. As we have seen in Ireland it was grassroots movements and civil society that have made our country a more tolerant place for LGBT+ citizens and won the marriage equality referendum, not the government. Irish Aid should be used to tackle the inequality that exists in Tanzania and elsewhere, but also support civil society organisations that promote human rights, including rights for LGBT+ citizens. That can be difficult in a country like Tanzania where LGBT+ sexual activity is outlawed due to legislation introduced during Britain’s colonial occupation of the country. Anthropologists have documented that the various ethnic groups in Tanzania and East Africa largely didn’t discriminate against LGBT+ citizens prior to colonisation by Britain and other western European countries. Over time homophobia and anti-LGBT+ discrimination has become ingrained in society and heavily supported by Christian and Muslim religious leaders. This won’t disappear overnight or through the stopping of development aid. In fact, it is only through continued support to the Tanzanian people and being a critical friend that we can hope to improve the human rights situation in Tanzania and end the persecution of our LGBT+ brothers and sisters. Health and nutrition are the primary focus of Ireland’s aid programme to Tanzania. However, there is also significant support for strengthening women’s rights and supporting democratic institutions to be more inclusive and effective. I will be raising with Minister Coveney the need to ensure that LGBT+ rights are also a significant focus of Ireland’s aid and relationship with Tanzania. 20 November, 2018 . Written by Fintan Warfield.